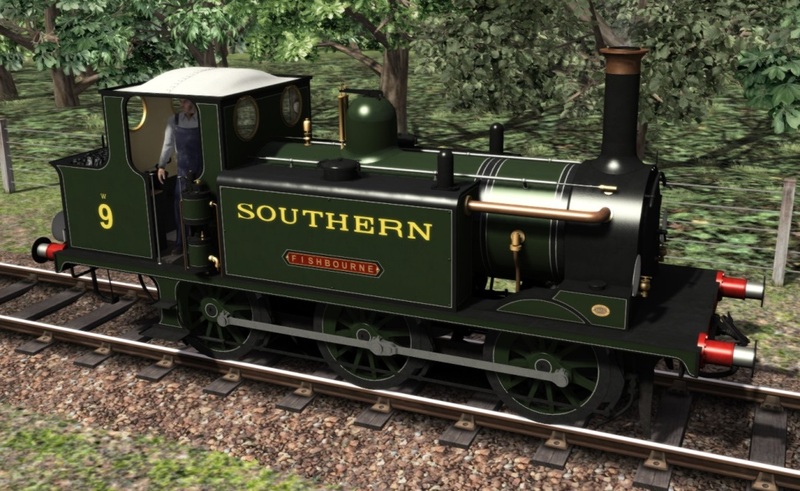 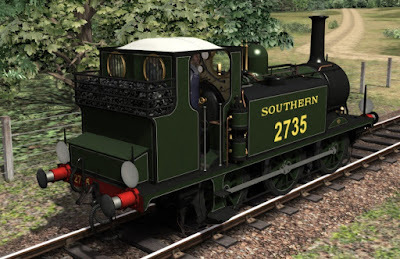 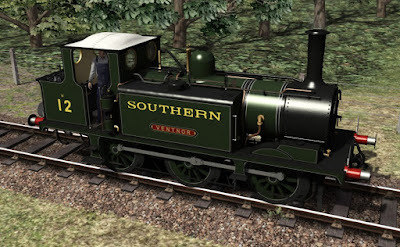 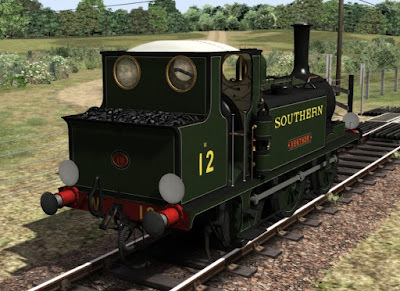 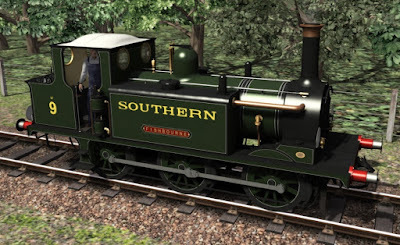 Today we take a look at the fourth livery for the Terriers, this one also from the Southern Railway, and which comes in 2 variations. 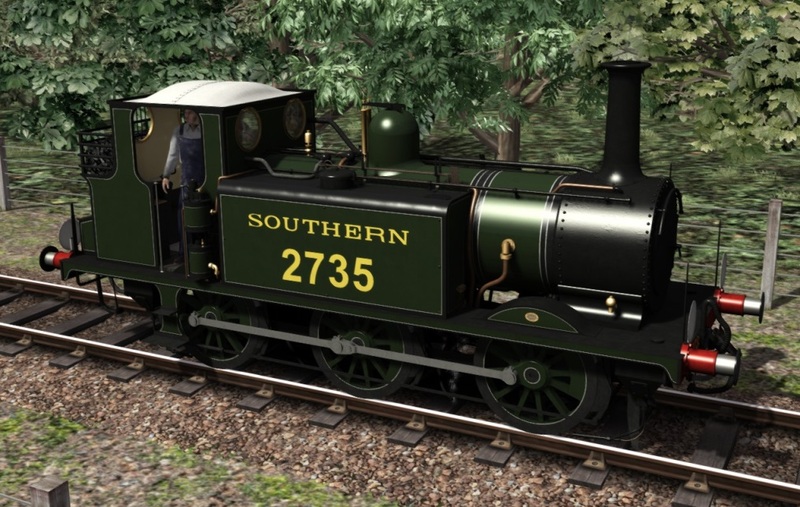 First we have the standard Southern livery with the large numbering on the tank sides. 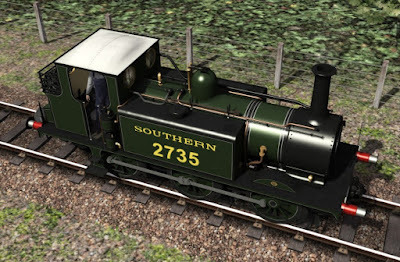 As with all the liveries any of the optional parts shown in previous blog posts can be selected and will match perfectly as can be seen above where 2735 has an original bunker whereas 12 has the extended IOW bunker and also has an added Southern Railway numberplate on the rear of it. And of course these liveries are also available on the A1 Terrier as well as the A1X. 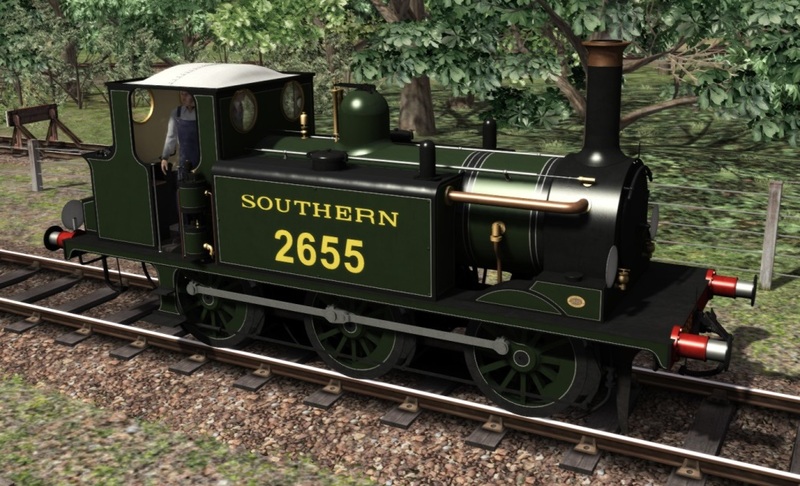 On Monday, if all goes to plan, we will be showing our plans for how the Terriers will be published so keep an eye out for the announcement.